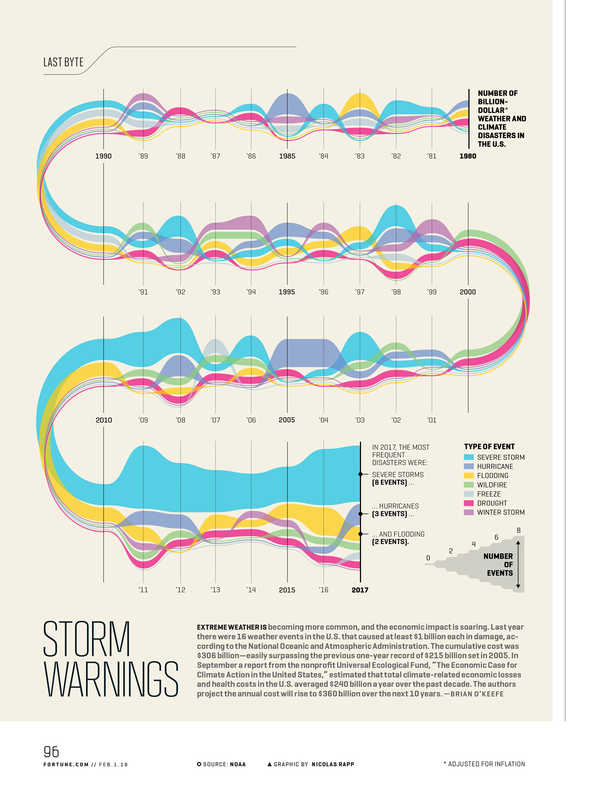 Extreme weather is becoming more common, and the economic impact is soaring. Last year there were 16 weather events in the U.S. that caused at least $1 billion each in damage, according to the National Oceanic and Atmospheric Administration. The cumulative cost was $306 billion—easily surpassing the previous one-year record of $215 billion set in 2005. In September a report from the nonprofit Universal Ecological Fund, “The Economic Case for Climate Action in the United States,” estimated that total climate-related economic losses and health costs in the U.S. averaged $240 billion a year over the past decade. The authors project the annual cost will rise to $360 billion over the next 10 years.